New Zealand is blessed with some of the best trail running on the planet. We are spoilt for choice with so many stunning landscapes to run through. Likewise, when it comes to trail running events we probably have more per capita than just about any other country. And being the caring, sharing people that we are we’d like to encourage visitors from every corner of the globe to slip on their running shoes and experience some iconic kiwi trails – either in laid back recreational mode or in full-on competitive mode. 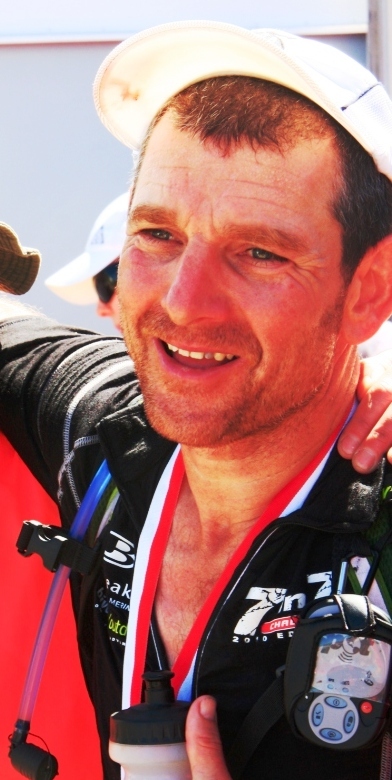 Mal Law, founder of Running Wild is one of the country’s most experienced trail runners and knows all the best places to go exploring and perspiring. There’s nothing he loves more than showing off his favourite spots with those who share his passion. Over the next couple of years we will be introducing a series of trips that will showcase the best trails in each of several regions of this beautiful country. These trips are designed with the recreational runner in mind. The emphasis will be on enjoying the unique landscapes of each region, rather than hard-out serious training runs. So they will be suitable for all levels of runner, but especially the ‘weekend warriors’. All trips include land transport, accommodation, food and guided running. Top of the South Island: This week-long running vacation will take in some of the very best trails in the northern-most part of the South Island. It will be a simply stunning week of trail running covering 3 national parks and a diverse range of mountain and coastal terrain. Dates: Nov 22nd – 29th 2014. Hot Lava – North Island Volcanoes: A week of unparalleled running up, down and around unique volcanic landscapes – like nothing else on earth! Otago Gold: A week spent exploring the breathtaking trails around Queenstown, Arrowtown and Wanaka – the centre of the 19th Century Gold Rush and now the Adventure Capital of New Zealand. Based on your interests, level of fitness & experience and budget we can put together a customised vacation, led by Mal, that will have you begging for more. These trips can be solely recreational in nature or can culminate in you running in one of our great trail races. To get you thinking we have listed some of our favourite races below, or for a full list of what’s possible go to the excellent New Zealand Running Calendar website. Want to plan a New Zealand running holiday? Then drop us an email. There are no forms to fill in – all we need is for you to give us your name, contact details and a rough idea of what kind of running experience you are looking for. Mal will then get in touch and the planning can begin. It doesn’t get much more personalised than that!